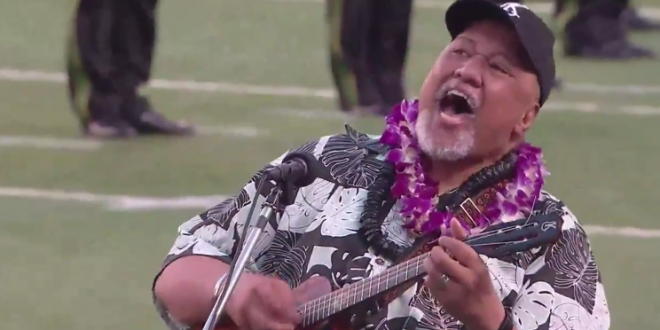 Hawaiian Singer Stuns With Unique Take On Anthem - Joe.My.God. As you’d expect, there are some critics. I think it’s horrible at best. The National Anthem isn’t a song you can make your own. The song was owned by a country and it’s lyrics etched in blood. It’s not a game show song, so quit playing with it. Sing it as it is written. https://t.co/5kNEFyfKoE this is from our broadcast, with your requested 3 seconds plus 👏🏻👏🏻👏🏻 enjoy!